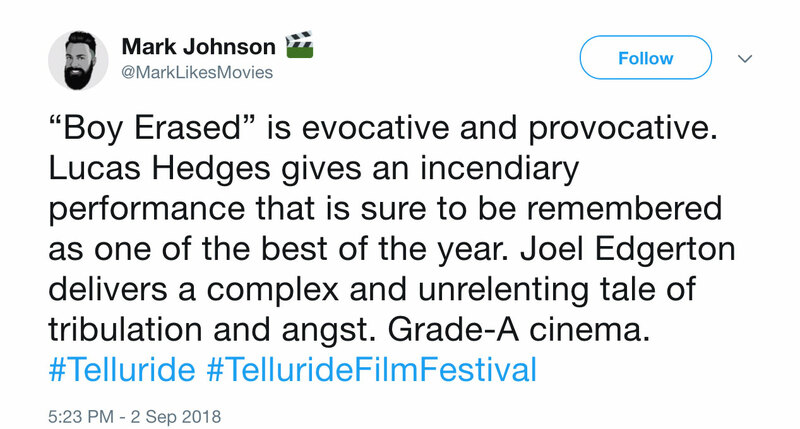 Every Labor Day weekend, the Telluride Film Festival selects the best upcoming films to be screened to an audience of fellow filmmakers and cinema fans. 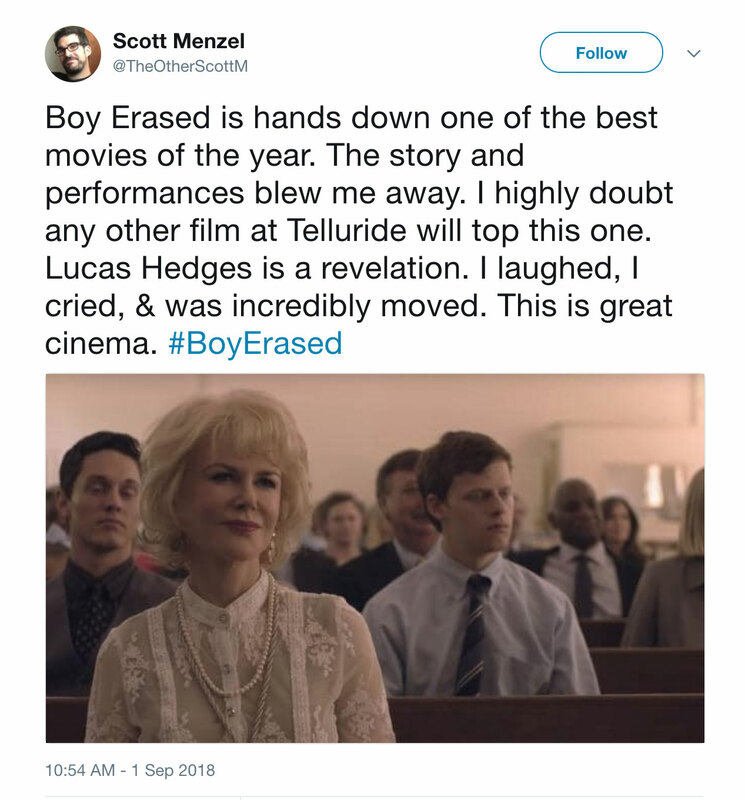 This year, Joel Edgerton’s Boy Erased was one of the festival’s big highlights. 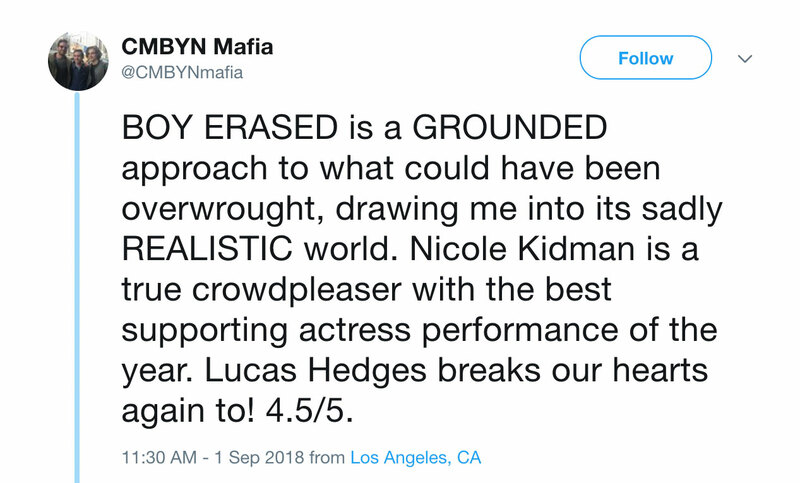 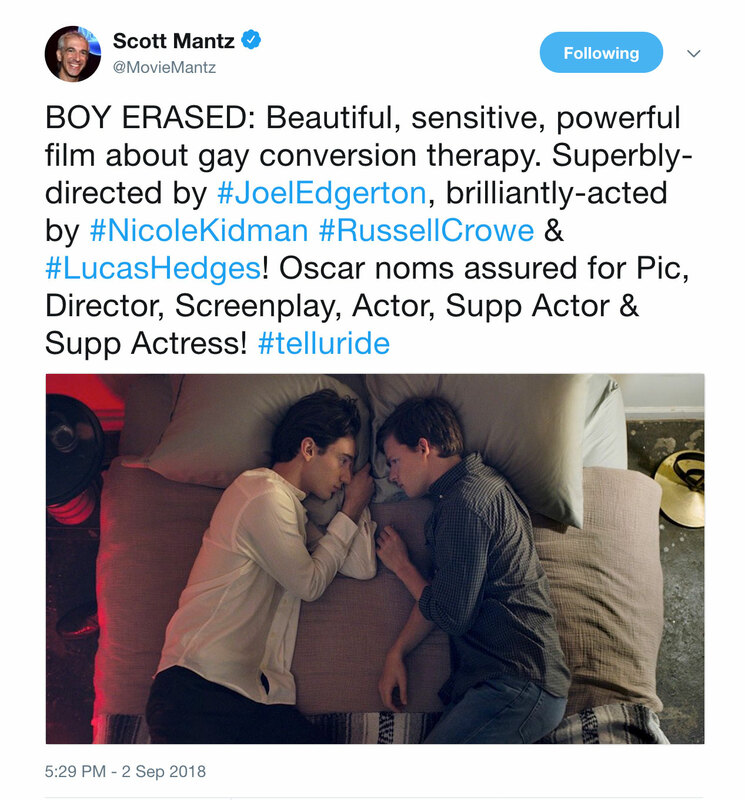 Adapted by Edgerton from Garrard Conley’s memoir Boy Erased: A Memoir of Identity, Faith, and Family, the film follows a 19-year-old son of a Baptist pastor (Lucas Hedges), who after being outed by his parents (played by Nicole Kidman and Russell Crowe) is given an ultimatum: either attend a conversion therapy program or be shunned by his family, friends, and faith. 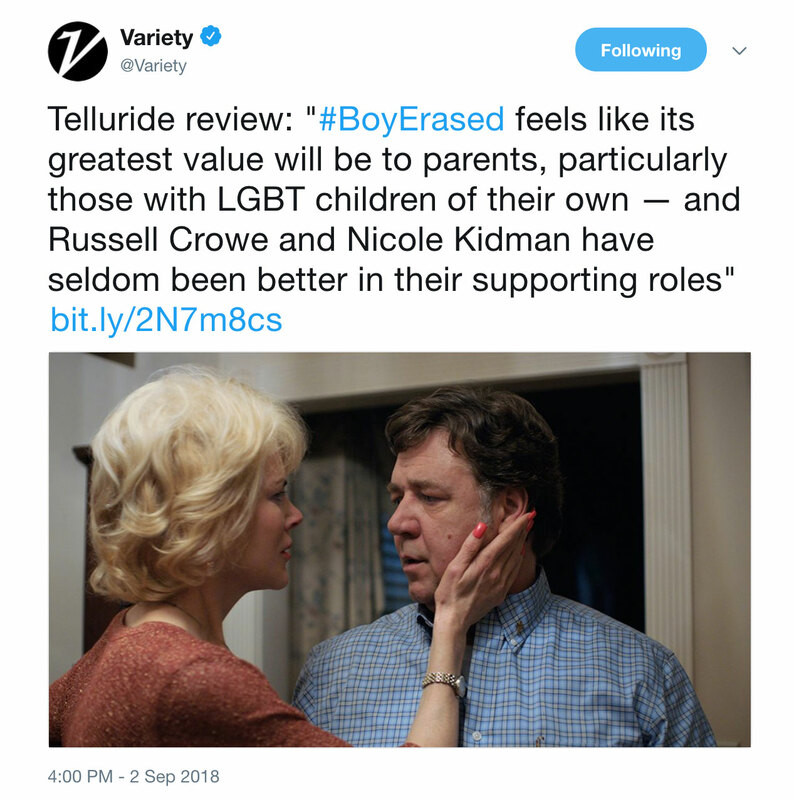 Read for yourself how this true story of a young man’s struggle to find his true identity moved audiences.